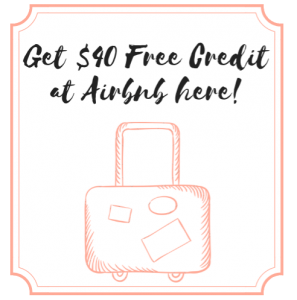 Note: This post may contain sensitive content. Reader discretion is advised. What would we do in a world without news? The media? What would influence our thoughts or inform us to be aware of disasters and tell us about trends that are shaping humans to be the way they are? I sure don’t know but I do know there’s a place in Washington DC that remains dedicated to giving us a breakdown on important pieces of history from the news archives that we will always remember and to let us share valuable information of events that will change our perspectives of the way the world is reported. I saved the best for last. 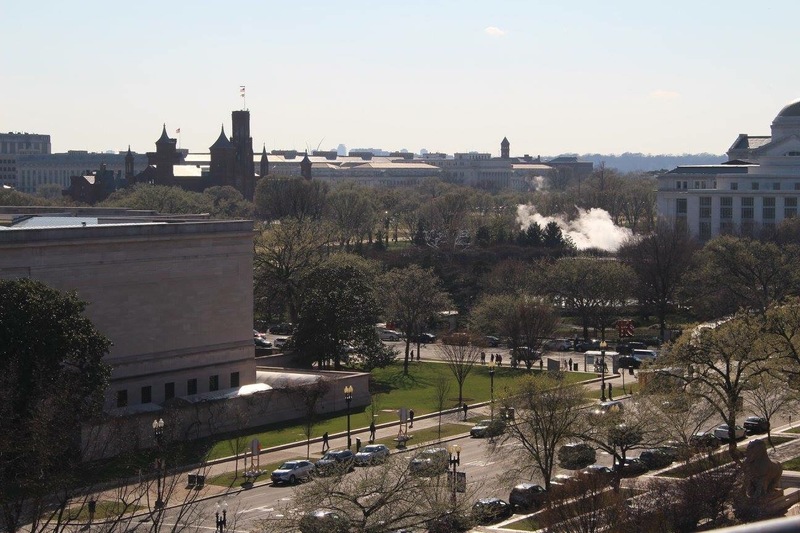 This was part of my trip during my spring break to Washington DC and having been to 6 museums during my visit there, this was the last museum my friend Leslie and I went to visit. It also happened to be my favorite one. 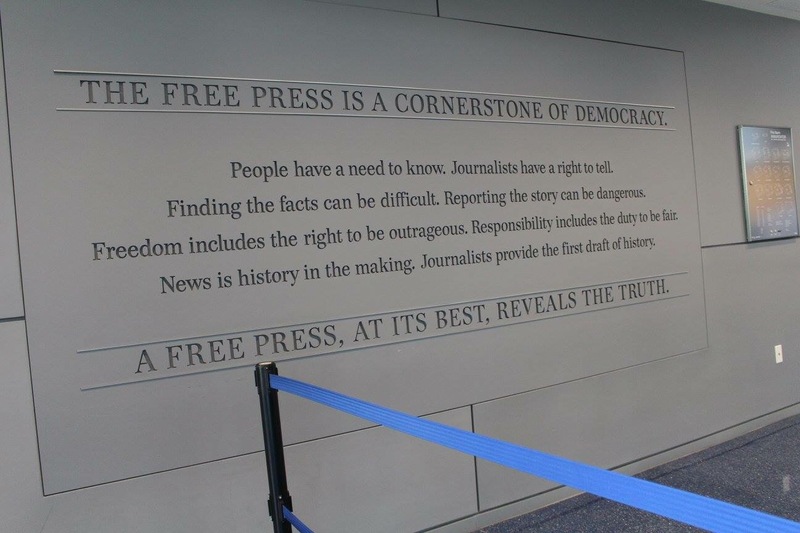 When I was younger, I have always been fascinated by the way the media delivered news to us. 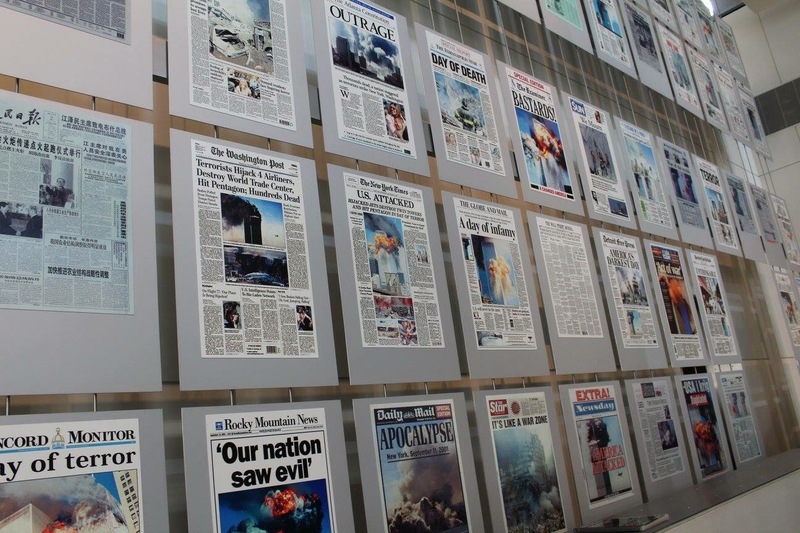 It could’ve been catalogs delivering the latest and hottest products, magazines interviewing and taking a peek into the life of celebrities, newspapers that were telling our community about the latest recreational events, and watching TV channels to hear reporters talk about terrorizing events around the world. I thought when I saw the tragic 9/11 day being recorded live on the news the day that I came home early from school when I was in 1st grade, I wanted to be a news reporter when I was older. I wanted to save lives that way. 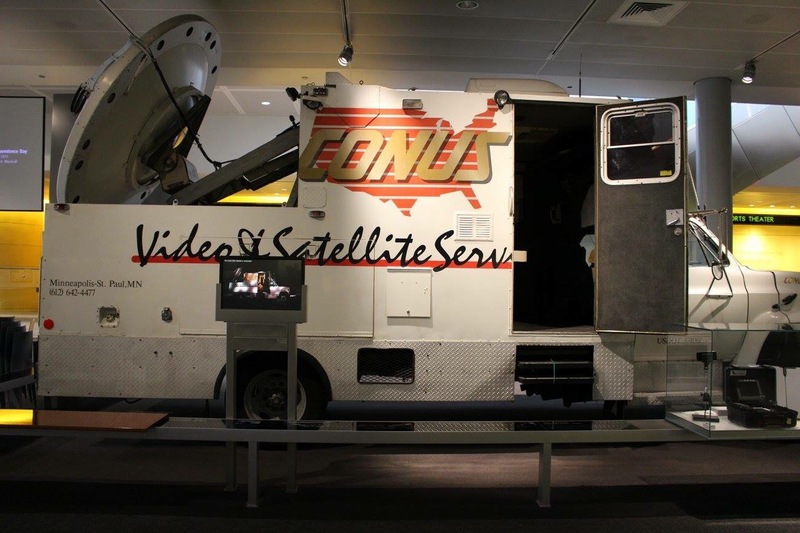 However, growing older was one thing from another and I never did end up studying Broadcasting but I did take a direction in Communications. 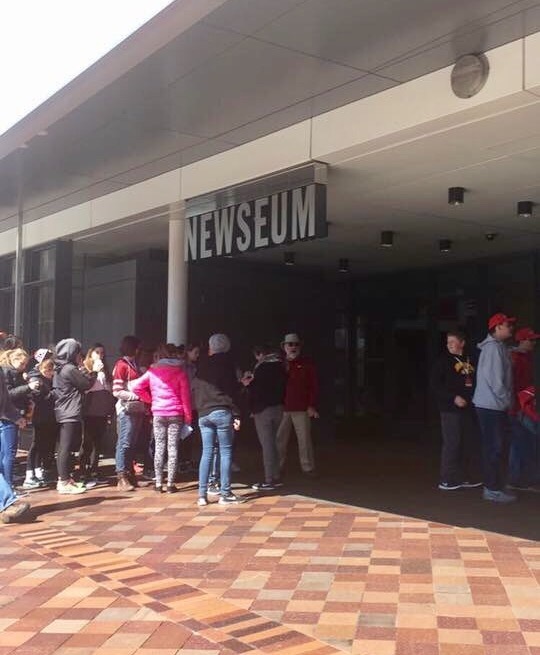 Going to the Newseum museum, located in Pennsylvania Avenue in Washington DC, was exciting. 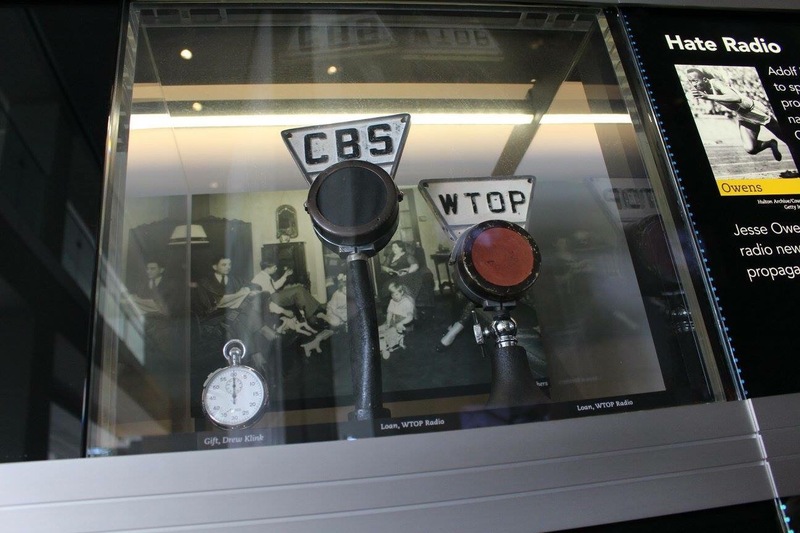 With a $24 ticket admission, you had access to go into the world of journalism and media. 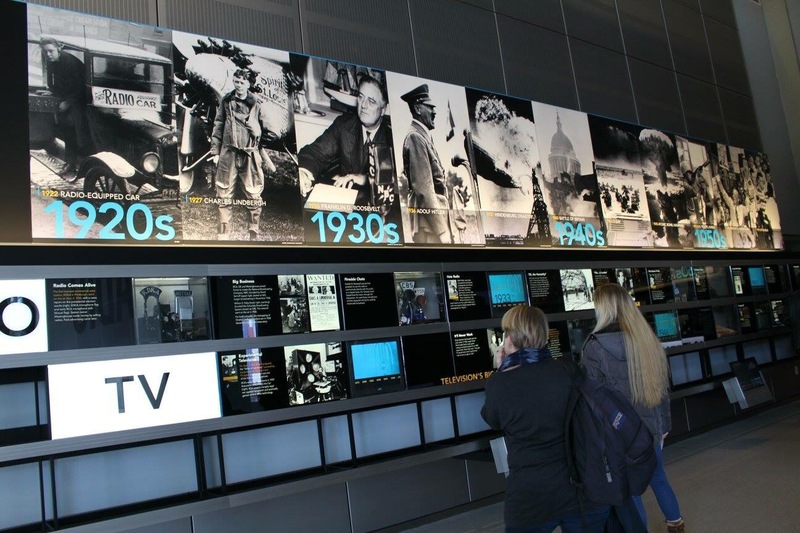 The Newseum museum has 6 floors to explore and this museum attracts about 815,000 visitors a year(!!!). Luckily, my friend and I were able to see all the floors but also, unfortunately, we did not complete the last and top floor in whole. 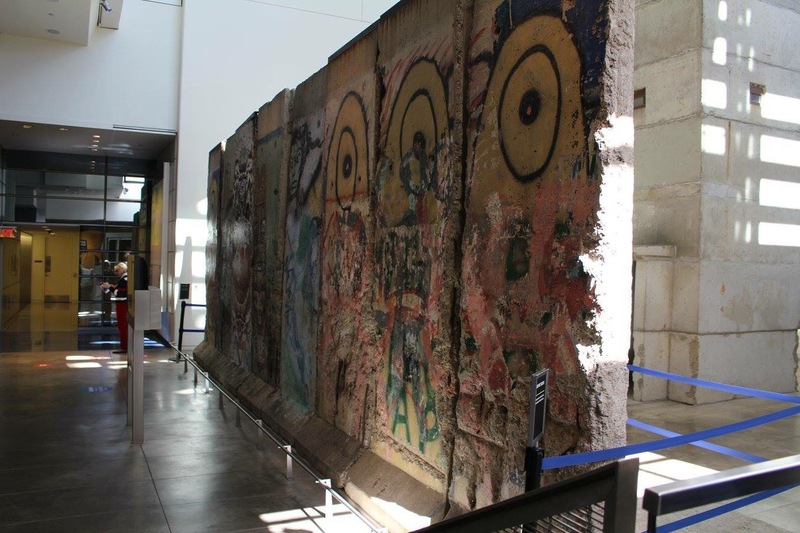 The first thing we saw and walked to was the Berlin Wall Exhibit. 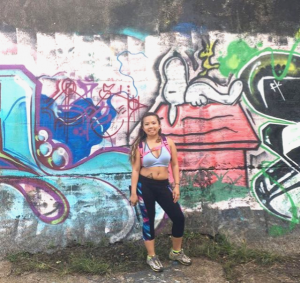 Who says you need to travel to Germany to see the REAL Berlin Wall? 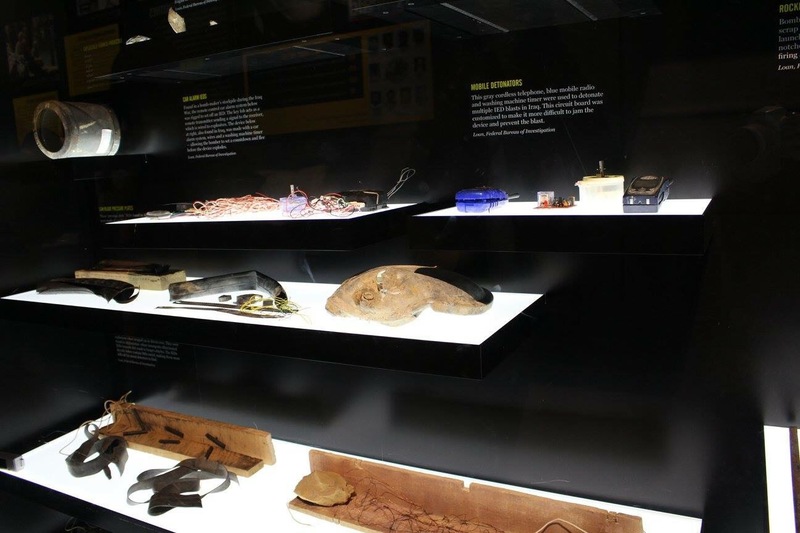 It’s also in the museum itself. The Berlin Wall is probably one of the famous symbols back during the Cold War times, representing a lack of freedom due to communism, because Berlin, Germany was split from East and West, affecting Germans. 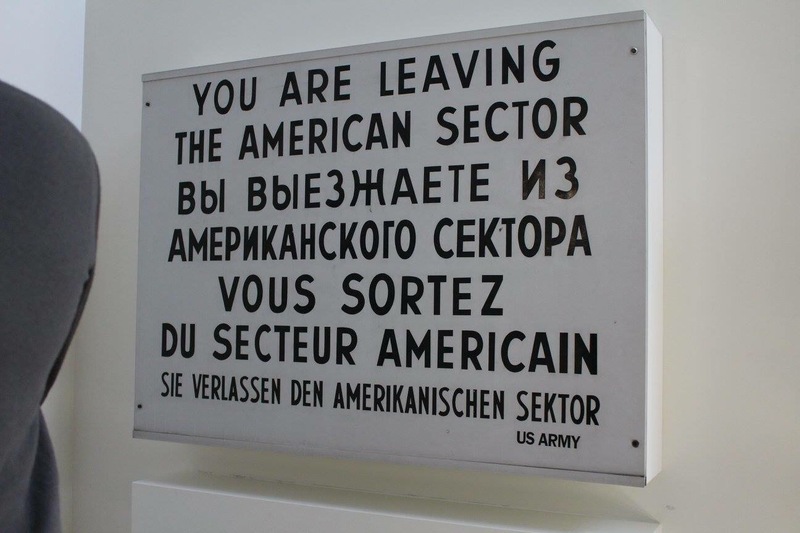 It separated families and freedom of Germans and people suffered tragedies trying to get over the wall. 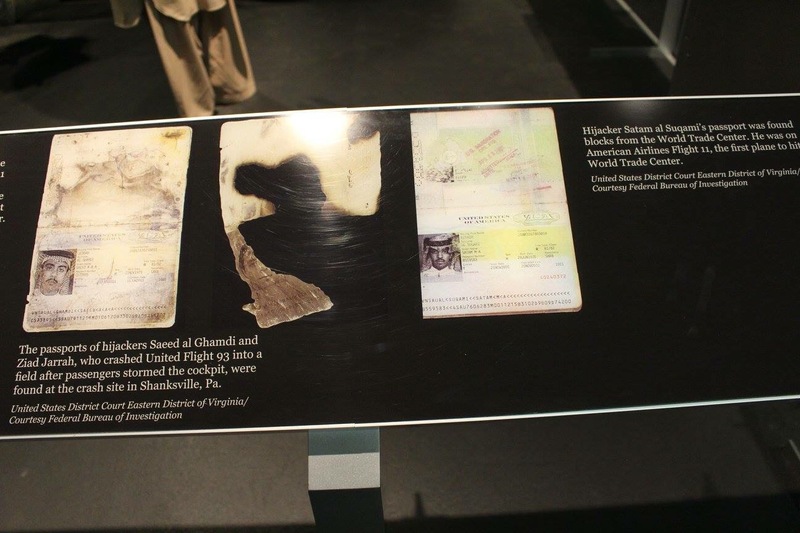 In one of its exhibit showings, you were able to feel a brick from the stone wall. 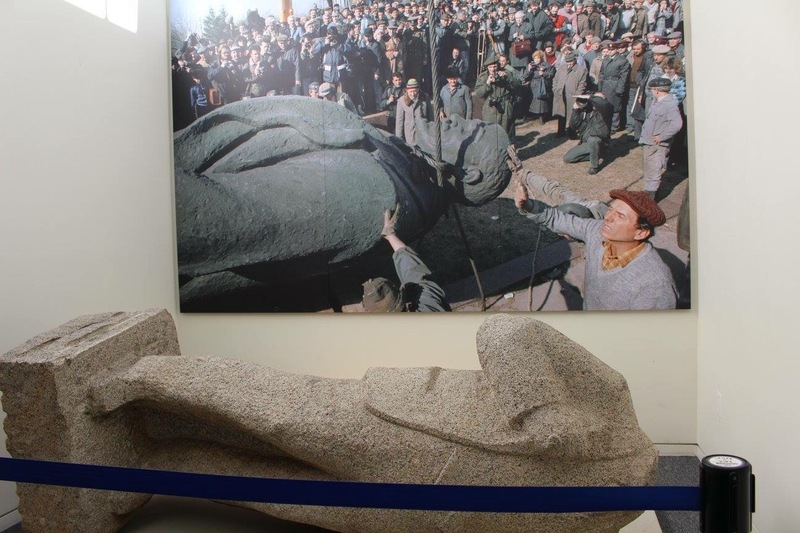 Beside it, there is a replica of a statue of a Communist leader during the times, which showed it being knocked over and broken in pieces. 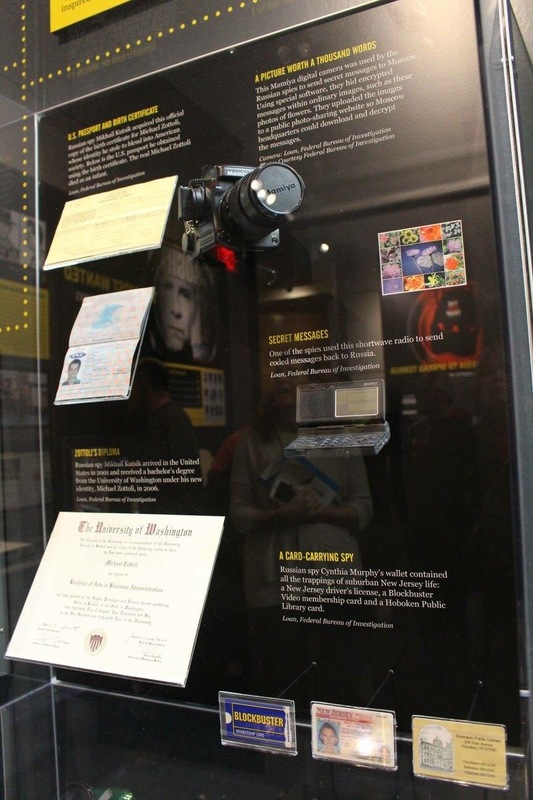 We then went to the FBI Exhibit area, which happened to be my favorite part of the museum. 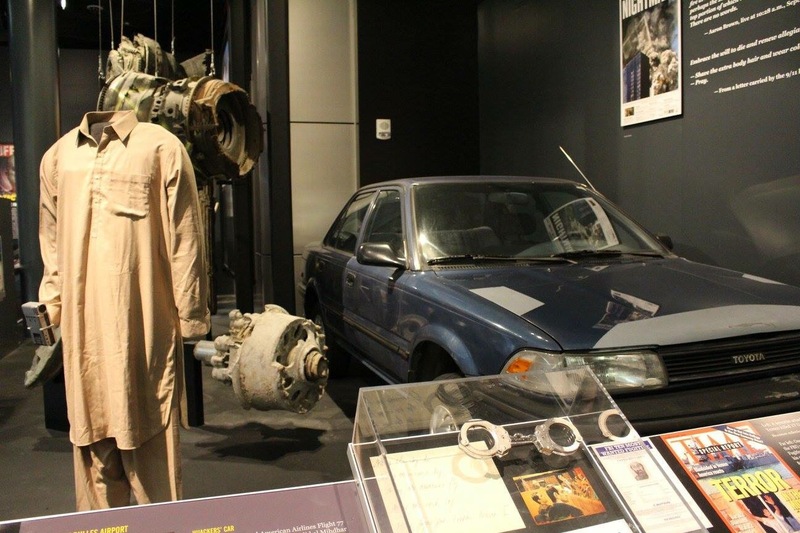 This area represented artifacts loaned by the FBI and facts, focused on events like fighting terrorism, well-known murders and crimes, and a cybercrime look into the 9/11 event along with artifacts found from that day. The subject in all fascinates me and because this was a pretty lengthy walk, I will just provide pictures with captions. 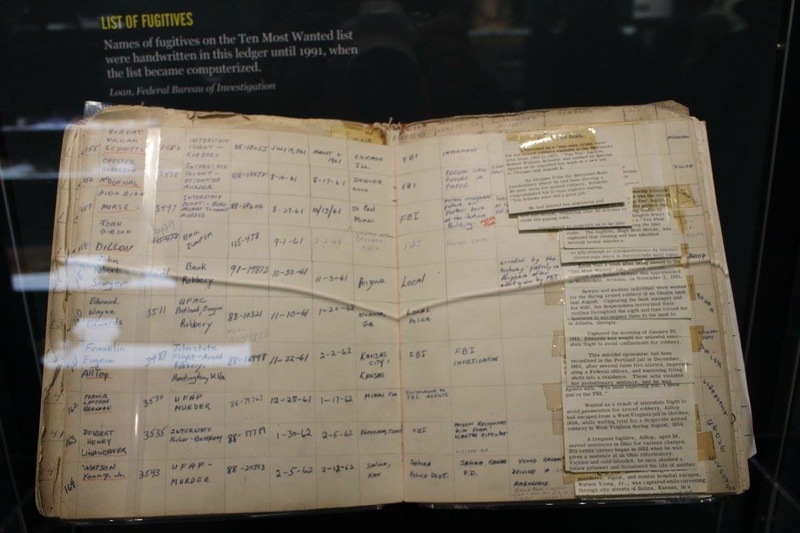 Here is an actual book kept of the list of FBI’s Most Wanted Fugitives that was written in until 1991. Interesting huh? It gets more interesting. 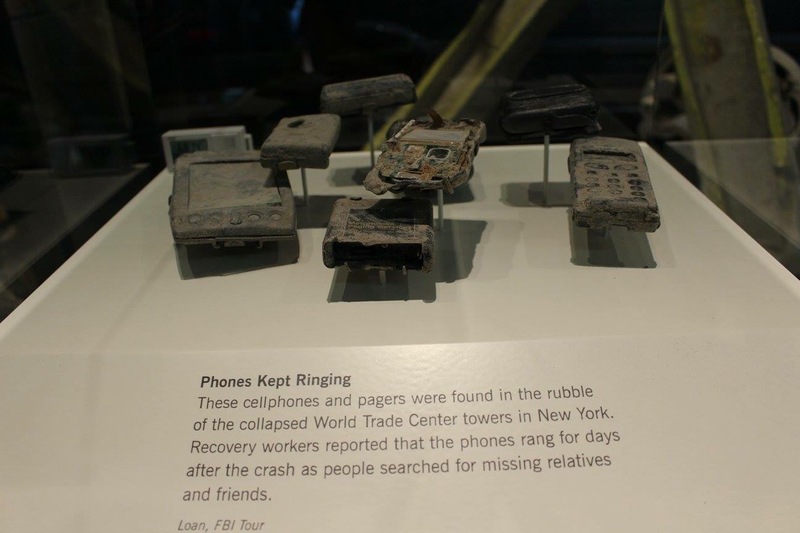 Cellphones and pagers that were found in the rubble of the collapsed World Trade Center towers. Really heartbreaking to see this. 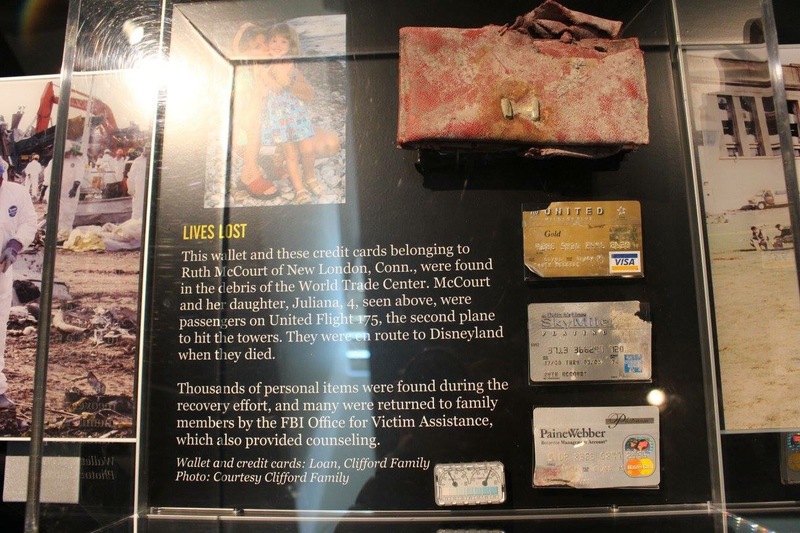 Another heartbreaking display of a wallet found from a mother who was in one of the planes on that day whom was with her 4 years old daughter; They were on their way to Disneyland. 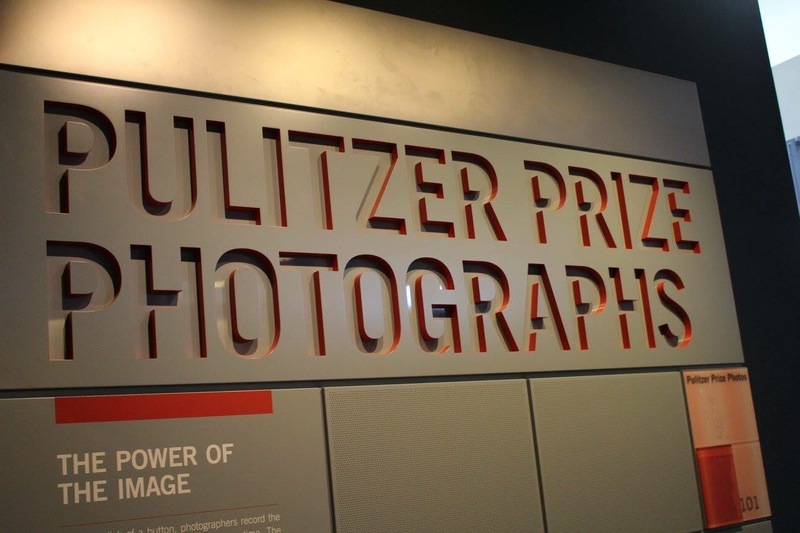 The next area we walked to was the Pulitzer Prize Photographs Gallery. 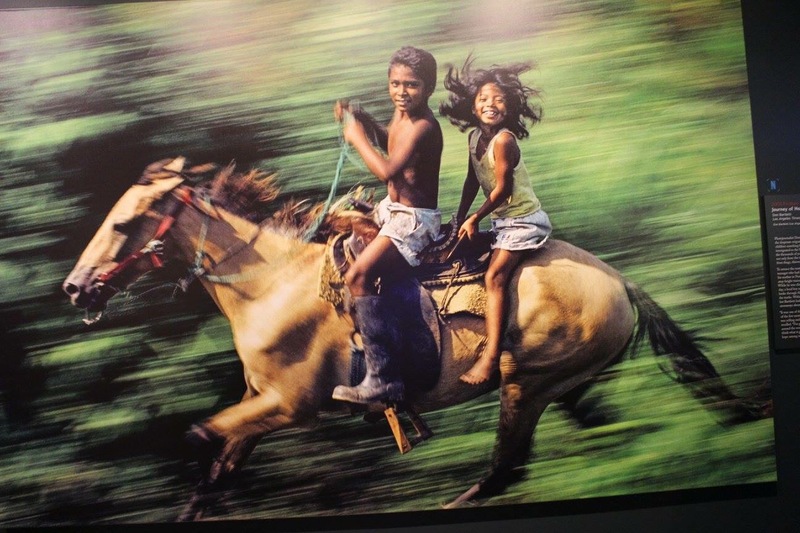 This was a collection of photographs that won the Pulitzer Prize and they were displayed as a collage on the wall and some were displayed as a large-scale photographs of them, where you can walk around in a circle to see. Some of these photos contained a lot of heartbreaking yet intense and courageous photographs. 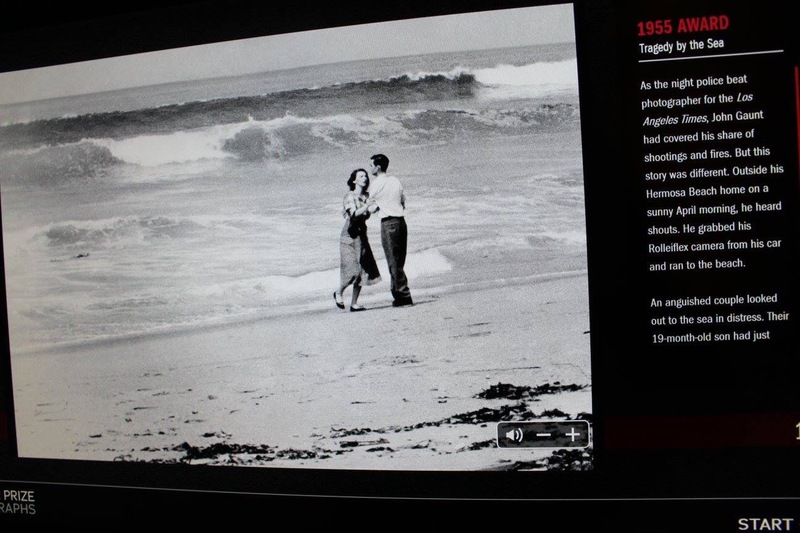 There were also videos shown in screens of photographers explaining what made them capture these moments. This photograph was a heart-wrenching one. It’s called “Tragedy by the Sea” by John Gaunt. It’s a photo of a couple who looked distressed after their 19-month-old-son had just been swept into the ocean on Hermosa Beach. 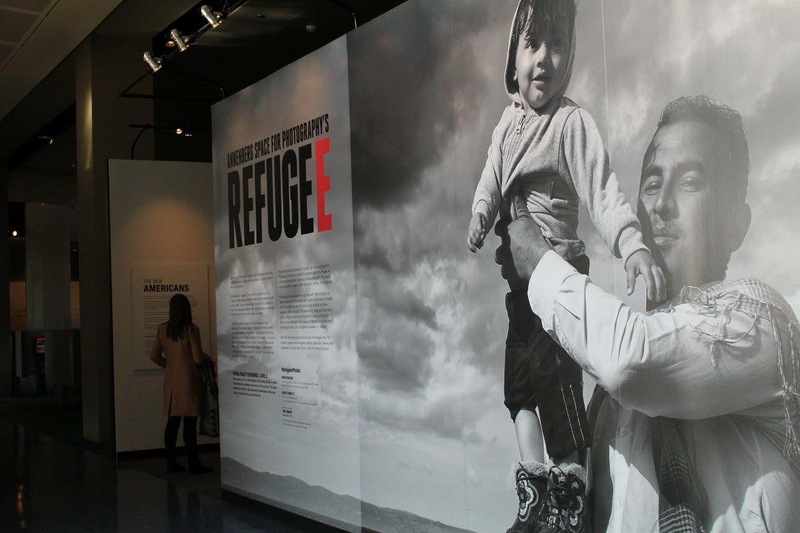 We then moved to the Refugee Photography area, in which I believe was a newer extension of the museum. In here, you can find more photojournalism being featured. 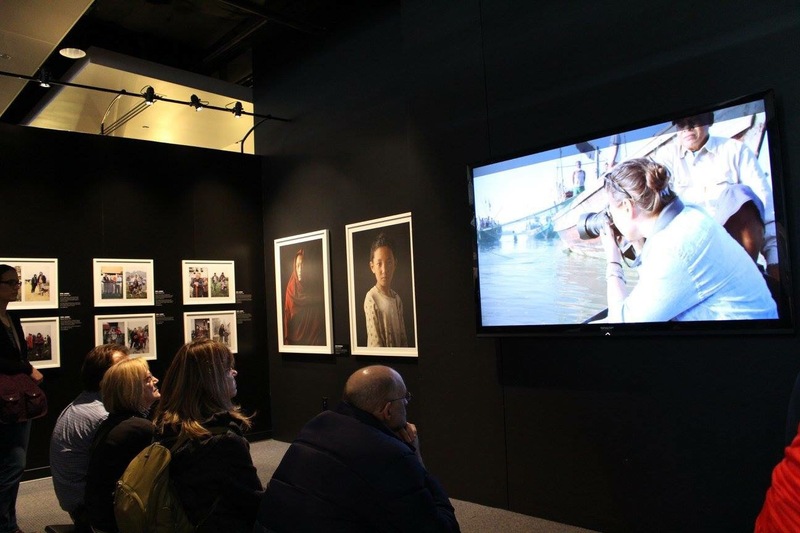 This time the theme of this gallery was all related to refugees and their challenges being depicted. There was a video screen in here too that was showing photographers being interviewed about the photos they were capturing in real-time and the stories behind them. 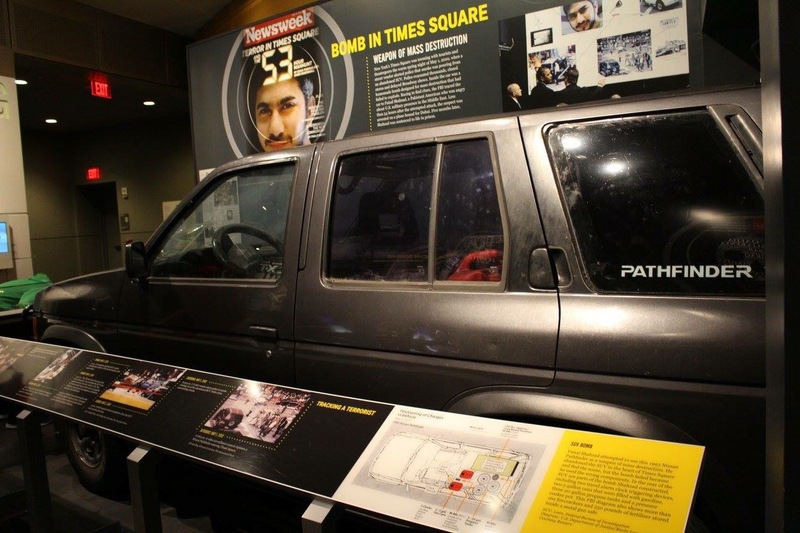 After, the part of the museum that touch close to home was the 9/11 Gallery. 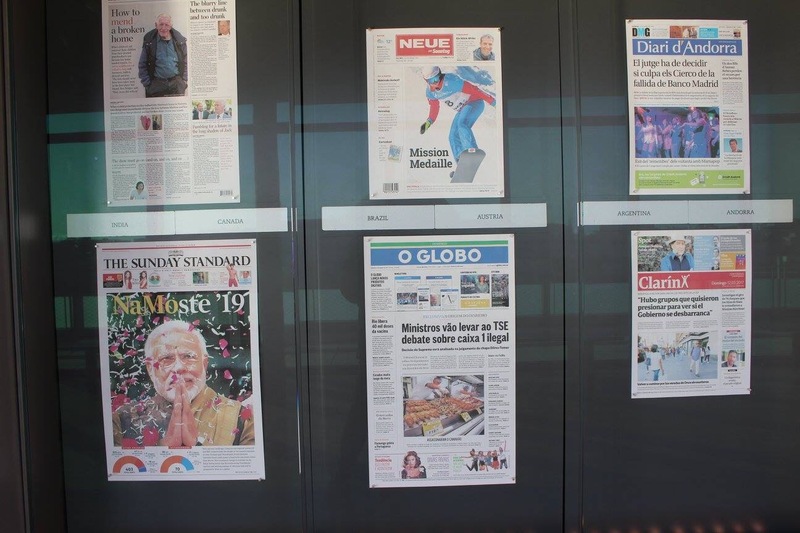 This features a giant wall with front pages of newspapers from worldwide. 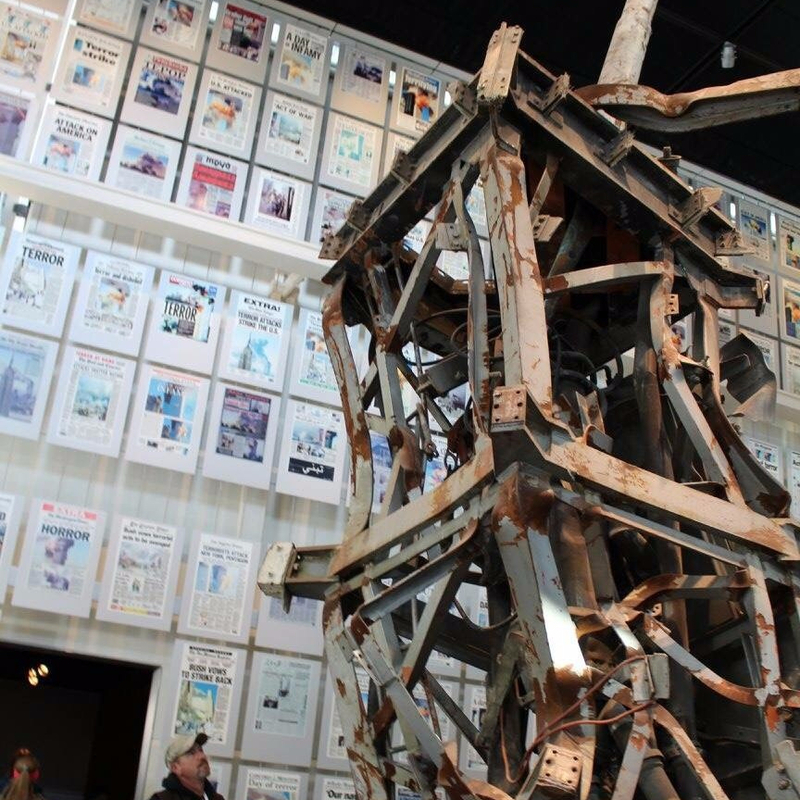 What stood out the most here was the actual communications antenna that was from the roof of the World Trade Center. 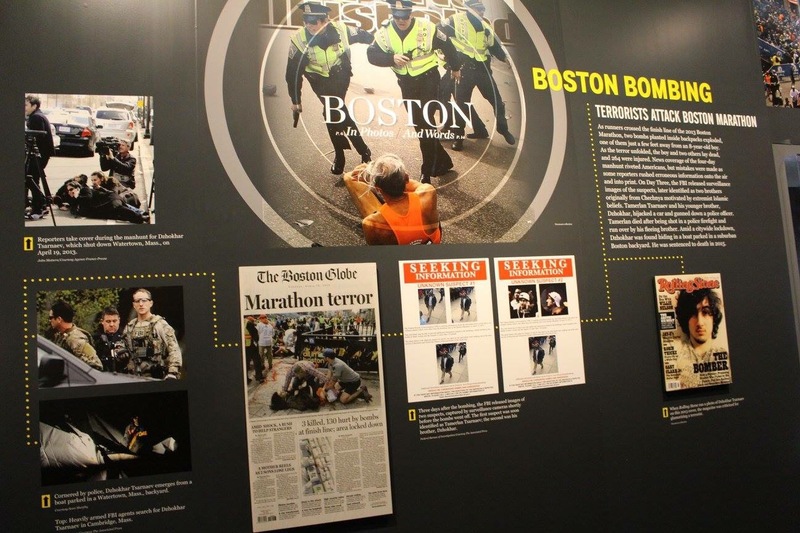 Around it, there was facts and a timeline of the reports of what had unfolded that day of the attack. 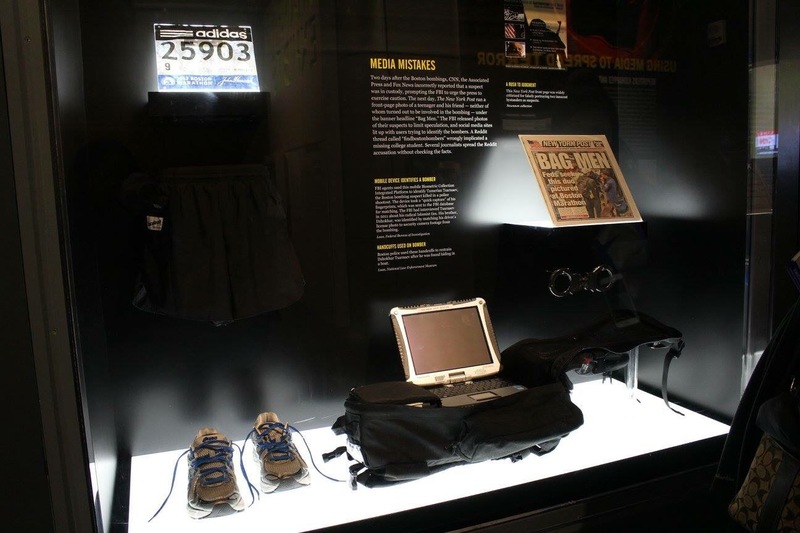 We went inside a room that welcomed visitors to watch a video of how the 9/11 events were reported and some visitors left the room tearful. 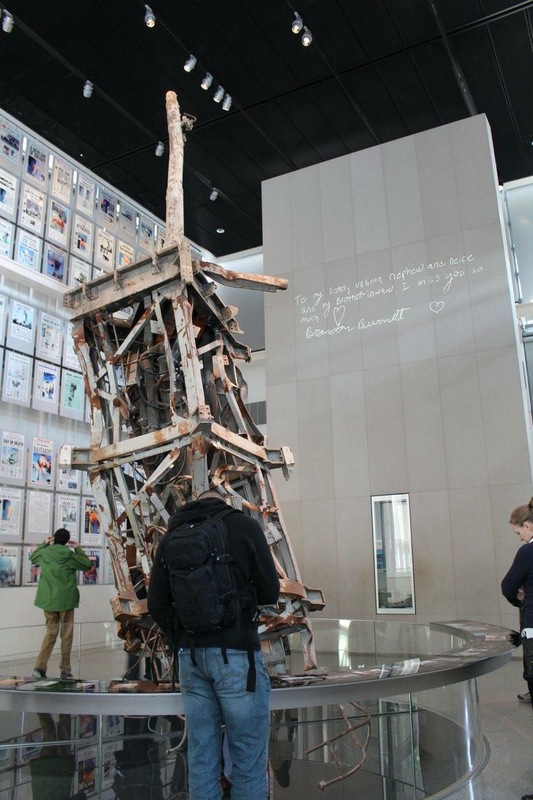 Behind the antenna, you can see a projector with handwritten words that visitors had written based on their experience of the tragedy. 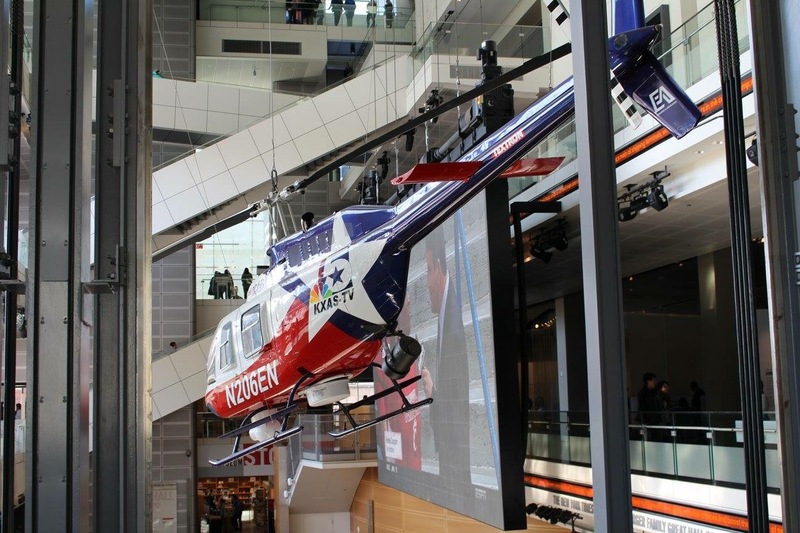 On the same floor, we saw the Bloomberg Internet, TV, and Radio Gallery. 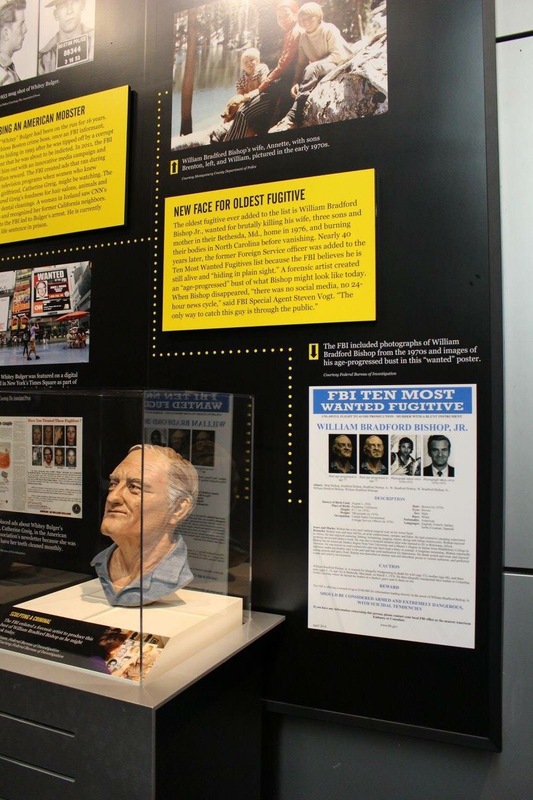 This featured high walls that showcased memorabilia that were used in media, a timeline of historical events captured through media, and a memorial to Edward Murrow. 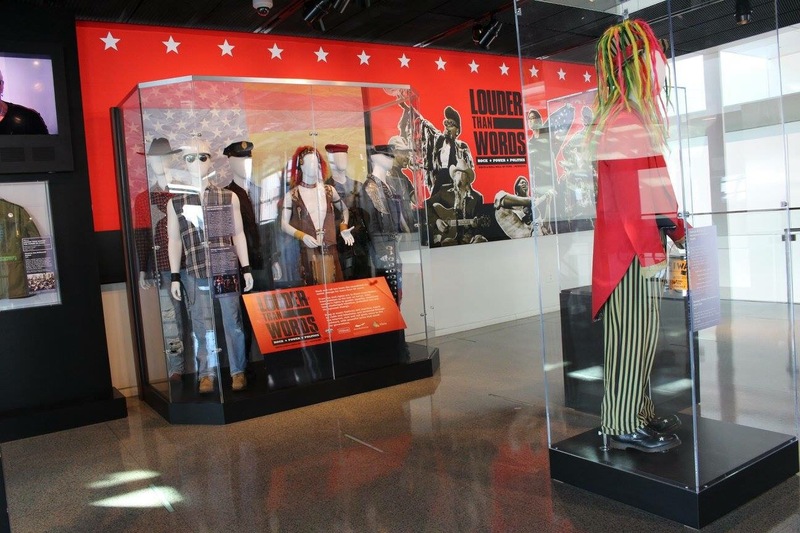 On the last floor, we partially saw the “Louder Than Words” Exhibit. 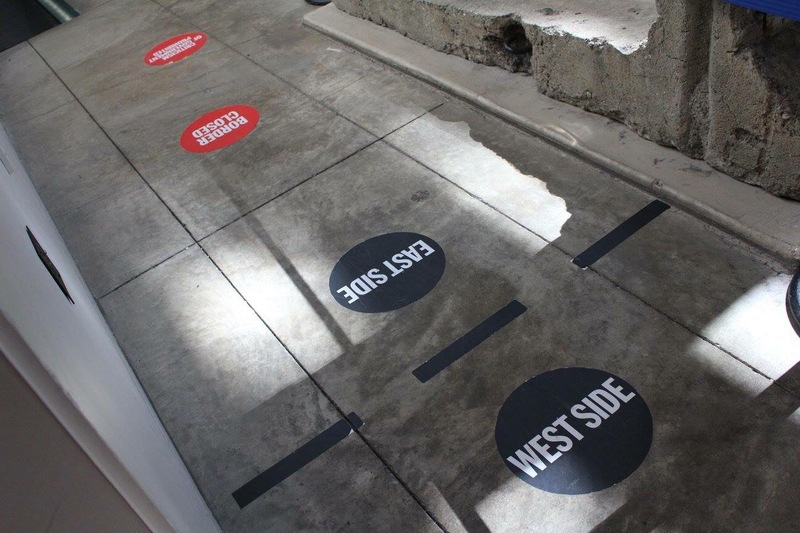 In this area, we came across outfits worn by famous musicians and learn some history of music and why some of the music we come across today have strong, loud messages. Adjacent to it was a case of newspapers from all over the world. Due to the museum closing, we didn’t have time to see more outfits worn by famous people like Lady Gaga’s meat dress to the 2010 MTV Video Music Awards. Overall, this museum is HUGE and has so many interactive things to see. The ticket pass should allow you, until the next day, to see it again. My visit to Washington DC was short so I didn’t get to complete the last floor. Highly recommend this if you want to learn a lot. Ending the post with this.